Gareth Berg is a right-hand batsman and right-arm pace bowler. 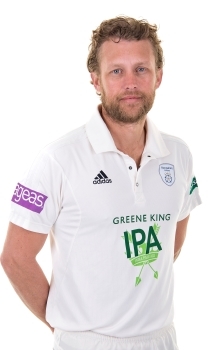 Born in Cape Town, South Africa before moving to play cricket in England, Berg began his county career for Middlesex making his first-class debut in 2008. Following several successful seasons, Berg’s all-round ability was particularly highlighted in 2011 where he averaged more than 41 with the bat and less than 19 with the ball. He also hit three boundaries from the final three balls in the last fixture of the 2011 campaign to help Middlesex gain promotion to Division One of the four-day competition. Berg continued to enjoy success in all formats, scoring more than 4000 first class runs and 200 wickets, before being forced to miss the entire 2014 season due to a serious shoulder injury. Following a successful rehabilitation period and winter training during the off-season, he signed with Hampshire in 2015 and the all-rounder enjoyed a hugely impressive first season with both the ball and the bat, contributing in all formats. His 42 wickets at an average of 28 and 672 runs in the lower order proved vital as Hampshire avoided relegation from Division One, and the all-rounder was recognised for his efforts by winning the Paris Smith Fans’ Player of the Year Award and the Ageas Players’ Player of the Year Awards that season. 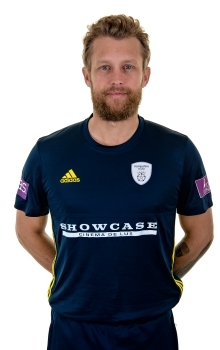 After receiving his County Cap against Lancashire in August 2016, Berg claimed career-best figures of 6-56 against Yorkshire the following month, and reached 200 first-class wickets in the second innings to help Hampshire secure an important draw with the reigning champions. Berg proved to be an excellent new ball partner for both Fidel Edwards and Kyle Abbott in 2017, taking 37 wickets at an average of 26.67 in all formats, whilst also providing vital lower-order runs. The 38-year-old proved to be just as prominent a performer for James Vince's side again last season too, picking up 30 wickets with the ball whilst also totalling more than 500 runs with the bat in all formats, also playing an important role in Hampshire's Royal London One-Day Cup triumph last June.